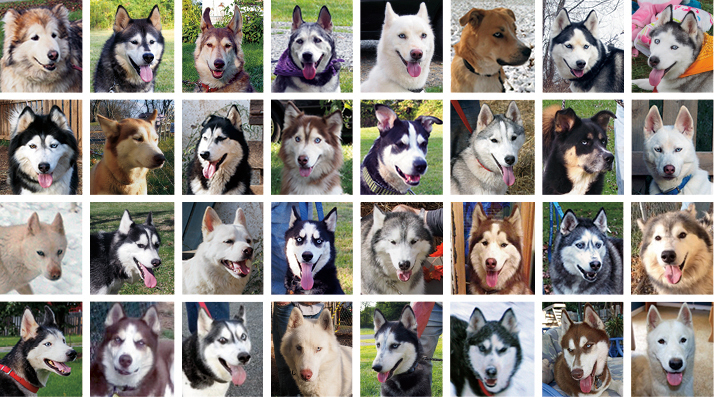 The dogs pictured above are among the many truly wonderful Husky and Husky mix dogs who have found loving forever homes through MaPaw Siberian Husky Rescue. Dogs come to MaPaw for a variety of reasons. Some are surrendered to us directly by their owners, while others are pulled from area shelters. MaPaw accepts dogs of all ages—from high energy puppies to easy going, mellow seniors. Each dog is welcomed first into MaPaw’s kennels at our farm in Berks County PA, and then whenever possible, placed into a foster home. All dogs are then evaluated to determine the best match for each one’s individual needs and personality. Thanks very much for your interest in MaPaw! We’re hoping that you’ll find that special dog who is the perfect companion for you! Here you’ll find the list of all dogs that are currently available for adoption. Click on a dog’s name to get to their personal page where you can learn more about them. Senior dogs are wonderful companions! They have so much love to give and bond very quickly with their new family. Some pups will reside in rescue for the remainder of their lives for various reasons. See MaPaw’s permanent residents here. See the lucky pups who have found their forever homes! that have been brought together through MaPaw.